Pinterest do not provide api's for integration yet. 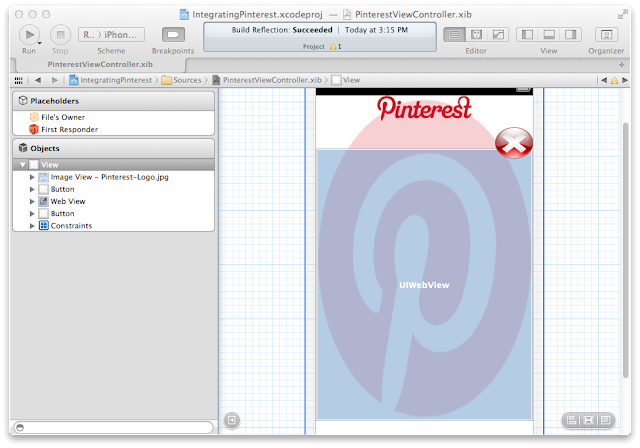 So in order to achieve it we need to use UIWebView in iOS App. 1. 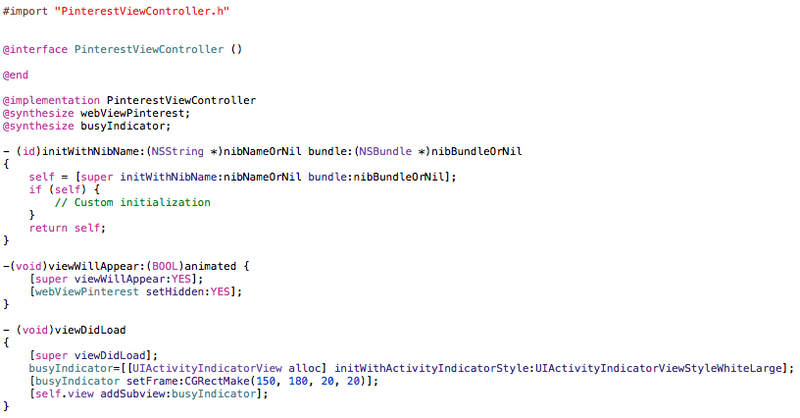 Take a UIViewController containing two buttons, one UIWebView. 2. 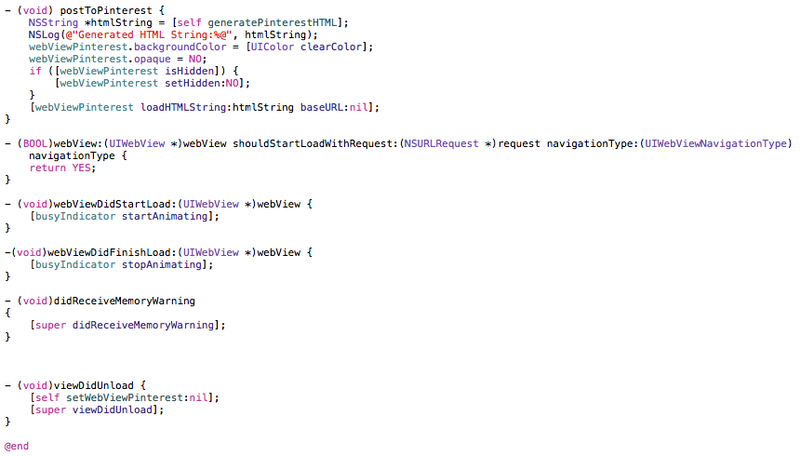 Generate HTML programatically and pass it to loadHTMLString in UIWebView. 3. On touchup-inside of first button, load html string which will open Pinterest in UIWebView. 4. Here pass your custom description and image url which you want to pin. 5. On touchup-inside of second button, close/hide the UIWebView. Above link helped me out. Great code, thanks! Do you know if it would be possible to pin a file stored in the iOS file system? That is, do a file upload, similar to Pinterest's Add button? I'm interested in this also. Any thoughts on how to pin a file stored in the iOS file system? Download the sample app, the code is commented nicely..should be no problem. Thanks This is very interesting, You are a very skilled blogger. I’ve joined your feed and look forward to seeking more of your great post. Also, I’ve shared your website in my social networks!